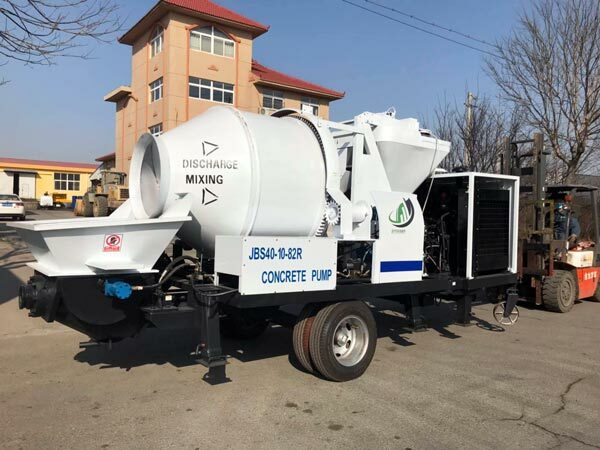 A reasonable concrete mixer pump price not only is the reflection of high-quality machine, but also shows strict quality control and well after-sales service. 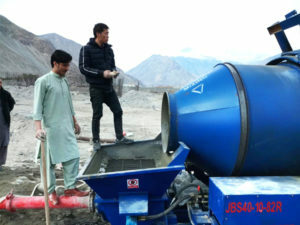 Concrete mixer pump is the combination with both concrete mixer and concrete pump, and this is a burgeoning equipment which were rapidly filled up the market. 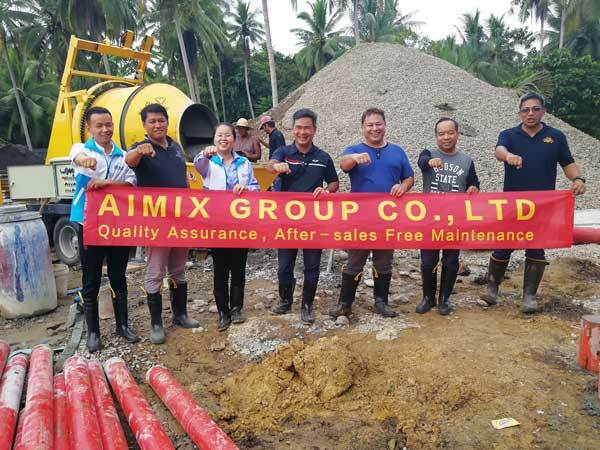 As one of the professional concrete mixer pump manufacturers, Aimix can offer you the most economical concrete pump prices. Click the following button, send us an inquiry, and get the best concrete mixer pump price. We can provide you with several kinds of mixer pump, including JBS30 series and JBS40 series. You can see its good performance from the features of hydraulic system, electric control system, mechanical system, lubrication system and cooling system. Double open hydraulic loops with two pumps; independent hydraulic pumping circuit and distributing circuit. Foreign electric components; wire remoting;proximity switch in hydraulic cylinder. Prolonging the life of piston and other sealing via hydraulic oil. As we all kniow, there is a big issue that the concrete pump appears troubles when working. However, if you choose to purchase one from Aimix, you can enjoy worry-free after-sale service. In Aimix, we have our own after-sales department which is one of the main departments. It has a group of over thirty skilled workers in charge of maintenance and debugging. They are all experienced workers who have engaged in equipment production and site planning for many years. We promise you that we will solve your problem as fast as possible. All the broken parts under guarantee, which are caused by quality or non unnatural wearing out, can be changed for free. Moreover, Aimix has established 6 LBS centers all over the world for better after-sales service. In addition, our sales team will visit our customers four times every year for machine mentainence. The price of concrete pumping machine with mixer is closely related to the level of quality control. Only with standard quality inspection, we can get reliable products. Our company develop drawings in strict accordance with national standards, and then we check the quality of accessories due to those drawings. For instance, machining parts must be strictly checked before entering into the workshop, and quality inspection results are directly written in the accessories. 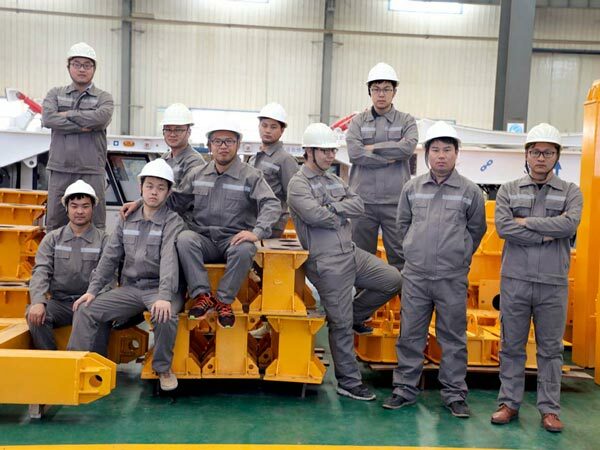 In addition, concrete mixer pump in our company must go through no less than four hours of high pressure water test before leaving the factory. If there is no quality problem, then they can be sent into the market. All in all, Aimix concrete mixer pump for sale have been developed and highly increased over the past there and half years, and gradually increased the market shares. With several years of manufacturing and selling experience, the JBS series cement mixer pump from Aimix has a stable technical performance and mature market occupation. 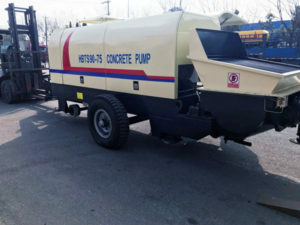 You can always get a proper concrete mixer pump price from us. Welcome to contact us for more specific price of concrete pump.